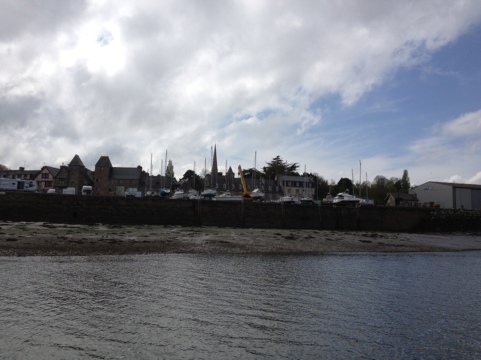 Left Paimpol in drizzle and no wind with limited visibility. Cautiously making our way out with the tide ebbing with us. It should have been a very scenic hop round to Treguier but, to be honest, we could only see for about a mile at best. The sun broke through for a couple of hours and a dolphin greeted our entrance to the river. 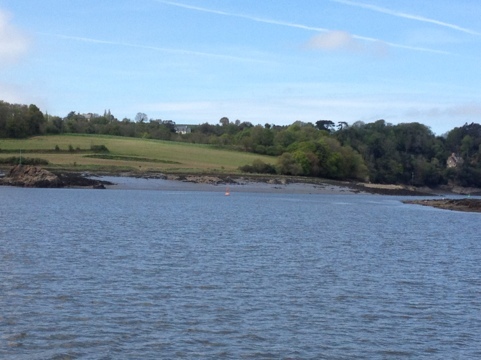 Treguier is a good few miles (c8) up the river and although it should be navigable at all states of the tide, it wasn’t today. Just outside the marina it is only 1.5m so a bit tight for a 1.86m boat. Luckily there is a waiting pontoon for such situations.